Twelve student robotics teams in Jefferson County Public Schools received a big boost from AT&T Kentucky, as a $15,000 donation was unveiled during a ceremony held at Central High School. AT&T’s contribution supports the project as part of AT&T Aspire, the company’s initiative to help provide access to education and training people need to get and keep good jobs. “Our company’s future, as well as the country’s, is dependent on today’s young people," said Hood Harris, president, AT&T Kentucky. "Through Aspire, we support programs that invest in students, especially those who need it the most, so they can walk across the graduation stage ready for their future." 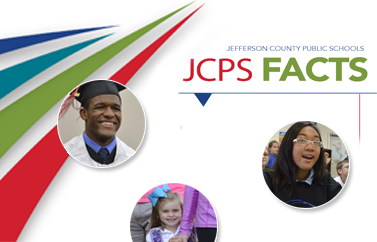 Superintendent Marty Pollio said the donation is a perfect example of valued community partners making investments in JCPS students. Robotics teams benefiting from the donation include the following schools: The Academy @ Shawnee, J. Graham Brown School, Butler High, Central High, Fern Creek High, Fairdale High, Iroquois High, duPont Manual High, Marion C. Moore High, Meyzeek Middle, Newburg Middle and Thomas Jefferson Middle. Hood said AT&T is focused on "building a viable, creative and adaptive workforce that is prepared to face the changing needs of employers and customers." "Programs like JCPS’s VEX Robotics competitions are critical in the development of students," he said. The contribution from AT&T will provide the teams with upgraded VEX Robotics Competition Classroom and Competition Super Kits as well as help fund competition registration fees.